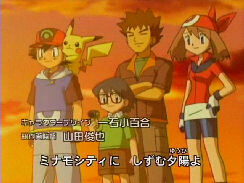 This is the first opening theme for the new Pocket Monsters series, Pocket Monsters Advanced Generation. Mahha jitensha toba shite susumou! !